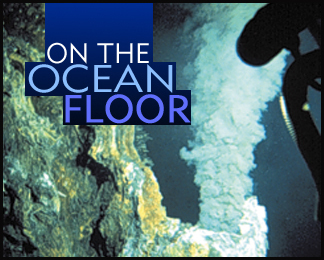 The life forms living at hydrothermal vents are affected everyday by the complex geology of these seafloor systems. Scientists are taking a multidisciplinary approach to understand this interchange. An economic geologist recounts what ancient hydrothermal systems and modern ones can say about each other. Thirty years ago this month, the final Apollo mission brought a geologist to the Moon. Here he reflects on how the program still shapes our future. Plus: A special Benchmarks that looks back 30 years to Schmitt's moon landing. AGIs congressional science fellow looks back on his Capitol Hill experience. On the Cover: This black smoker chimney sits on the East Pacific Rise at 9 degrees 50 minutes north latitude in the Pacific. The photo was taken during the filming of the IMAX movie Voyage into the Abyss. Read the story online. Photo courtesy of The Stephen Low Company.